I remember one of the 1st times I built a sandcastle. We weren’t “beach” vacation people growing up in Canada, so it was when I built one with my kids as an adult. My kids and I worked for hours on our masterpiece. Every little detail was added. A door, a path, ledges, etc. We wanted it to be perfect. So people would find it and ooh and aah over it. Sure enough, we completed it and took a step back, and realized we attracted attention. Other kids suggested to their Dads that they wanted to build a sandcastle just like ours. Problem. No matter how much detail and care you put into a sandcastle, it’s sitting on sand. Jesus even talked about it. A house built on the sand will fall. Period. And that’s what happened. Our castle didn’t even last one change in tide. It crumbled and disappeared. 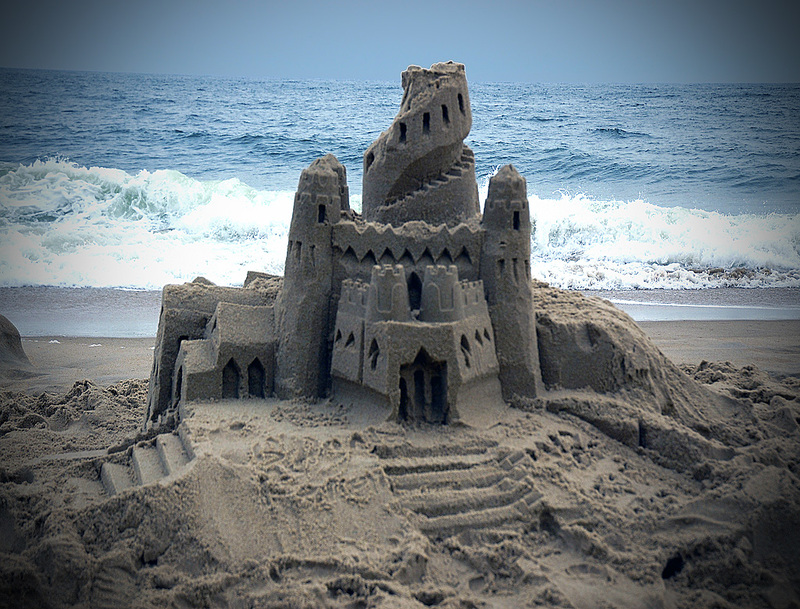 Like a sandcastle, you’re putting great care and attention into your organization’s website. You’ve made it look perfect so that people find it and wish they had a site “just like yours”. But if the foundation of the website is weak, it will fall. And before long, your web presence will be lost. Brand. Know what your brand promises, what your brand looks like, and what your brand message is. And communicate it — in unison. CMS. Be sure that your content management system is easy to update. Yourself. Easily. SEO. The 3 pillars of SEO are followed. If not, you’re wasting your time. Engagement. You want your pinpointed audience to love your website and interact with it. Forms and engaging queries. Simplify. 50 words/page, video and pictures. Long text pages don’t get read. Period. I learned a lot when I built that first sandcastle. I learned it’s not a good use of time if longevity is your goals. Instead, I learned that it’s a great way to spend time with my kids. And sadly, a lot of websites look like they’ve been built on a poor foundation. And by kids.